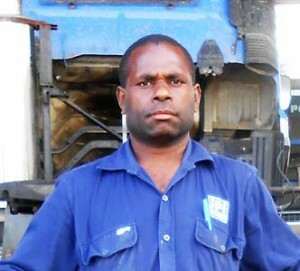 “Working in iPi Transport Limited is of a remarkable story that I will tell to anyone and even the younger generations in the years to come”, said the Sepik fella. Graduated from St. Joseph Technical School with Mechanic PETT course in Lae, Morobe Province, getting employed is another great challenge. However, I was fortunate to be employed by iPi Transport as a Trainee Mechanic. Years past and I was made a trade assistant working under Tradesman Mechanics. Because it is my first employment I worked very hard, committed, and give extra time to finish what I was instructed to do. Good news knocked on my door one day as iPi Transport will soon have its Apprenticeship Programme. With much expectation, commitment and hard work has brought the day that I will soon be one of those pioneers of the programme. Clinging to the wings of the apprentice programme I knew, my flight will be save and will land me somewhere either in iPi Transport or elsewhere. The day has come and I received my much anticipated golden paper which is the NATTB Tradesman Certificate. With great joy and tears, my echo whispered to me as I am one of those pioneers of the programme. Not months past and I was elevated to Workshop Truck Supervisor position with better employment conditions. This is another milestone in my employment life. iPi Transport Ltd in the past ten (10) years has inscribed in me a song that I will always sing to the ears of the younger trade generations and whoever come along my way. Like other companies, iPi Transport Ltd has its Recruitment Policy on Internal Transfer. It has been practiced over time and I am also a product of this policy. I will never forget you iPi. You have raised me from employment childhood to a matured tradesman. I will always be by your side and you by my side. Once again Thank you iPi Transport Management and Staff for the endless support you are, will and had given in my workshop trainee days to which I am today. 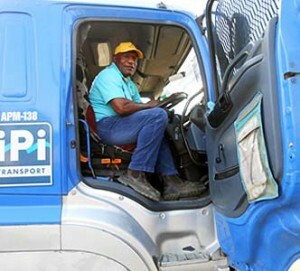 Nick Pop has been driving for iPi Transport for the last 11 years and is from Hagen, Western Highlands Province. Nick started his career as a loader and made his way to become one of the most respected drivers along the Highlands Highway. This is what he had to say when interviewed by Robin Fohombari, the HR Officer. Although Nick did not have the chance to attend formal education, he has a very successful career with iPi. Mr Pop began his driving career as a fuel drum loader with Petrohaul Limited eventually became a highway driver because of his dedication and loyalty to the job. Nick recalls one day as a young fuel- drum-loader when he was called in and told by his boss that he was promoted to a truck crew, excitement and the feeling of eventually becoming a highway driver rushed through his spine. Determined and dedicated as he is , he finally made it as a Highway Driver and has enjoyed the career for the last 23 years. “Being a Highway Driver is a tough role as there are many challenges you face on the road. For the last 11 years working for iPi Transport Ltd, we have been witnessed bad road conditions , tribal fights , hold ups , but this has not deter our courage as highway drivers and I still love my job as a Highway Driver”, Nick Says. I feel confident on the road as iPi Transport is very safety conscious as our workshop guys always ensure all town and highway trucks are well serviced for the next run. I hardly face any accidents or breakdowns along the rugged Okuk Highway in my whole career with this company. Company paid school fee for my children. Company quick to process my financial request in times of need or family dead. Hard working employees are recognised by iPi Transport Ltd management through bonus and other benefits. Christmas Voucher given to employees is more than expected. iPi Trucks are serviced before and after every trips or runs like new tyres, excellent brake linings,etc. Safety gears like fire extinguisher, Personnel Protection Equipment, common tools, are provided to highway drivers. iPi transport has one of the best workshop in Lae City in particular and generally one of the best in Papua New Guinea where as a highway driver, my life is guaranteed while on the highway. Personally, I haven’t experienced breakdown or accident while in the employ of iPi Transport for the past eleven years. iPi Transport Ltd and iPi Group of Companies promote safety in the workplace at the highest level. iPi Transport has over the years has respected its long serving employees. In this regard, whatever I requested when in need, the company always in a position to assist. The HR Team led by Rauka Ovia is the best in iPi Transport. They are very quick to respond to our (employees) queries. Their customer service towards me as a person and to other highway drivers and employees is of high standard. 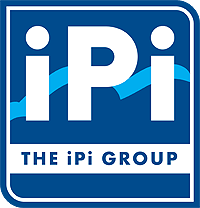 The management of iPi Transport Ltd led by Maso Mangape, the General Manager, is very good. They have respect for their employees and give the support when needed. There is no such thing as unlawful termination in iPi Transport Ltd as it doesn’t want to terminate any employees. Employees are terminating their employment contracts by not complying with company policies and procedures. I am one of those longest serving employees in the company because I listen and follow instructions from management and adhere to policies and procedures of the company. iPi Transport is where I will end my highway driving career. I trust iPi Transport Management as they also trust me.